Marquette has had an up-and-down season to this point. The Golden Eagles are 17-10 (8-7 Big East) with a resume that includes nice wins over Villanova and Creighton as well as head-scratching losses to St. John’s and Georgetown. Their most glaring flaws are on the defensive end of the floor (where they rank 138th nationally, per KenPom), but their inconsistency can also be attributed to a lack of an offensive go-to option. Marquette’s top players — who, it should be noted, are clearly buying into the team concept — cannot individually match the output provided by First Team All-Big East contenders such as Josh Hart (Villanova), Marcus Foster (Creighton) or even Trevon Bluiett (Xavier). What head coach Steve Wojciechowski lacks in star power, however, he has in depth, which makes the Golden Eagles a dangerous squad to face in March. Marquette currently has six players averaging between 10.1 and 12.5 points per game, five of whom stand between 5’10” and 6’6” and are virtually interchangeable in the Golden Eagles’ up-tempo, three-point happy offense. That offense is the team’s driver, ranking first nationally in three-point shooting at 41.9 percent and among the top quarter of the sport in adjusted tempo. Four of Wojchiechowski’s rotation players – Katin Reinhardt, Andrew Rowsey, Markus Howard and Sam Hauser – are shooting at least 38 percent from beyond the arc, making an average of two or more per contest. The Golden Eagles’ pronounced ability to spread the floor with multiple shooters makes them nearly impossible to guard in the half-court, but what really rounds out the Marquette offense is its anchor in the post. Senior big man Luke Fischer leads the team in player efficiency, rebounding and blocked shots, and his offensive game is as diverse as it is proficient. The 6’11” center can play with his back to the basket, possessing great touch around the rim, but he is also capable of acting as the roll man off screens. He may not be the most athletic big man in the Big East, but he makes up for it with his meticulous shot selection and skill set – Fischer currently ranks 21st nationally in effective field goal percentage. The small ball era has been discussed ad nauseam with case studies such as Golden State in the NBA and Villanova in college acting as manifestations of its success. But for all the talk about how effective shooter-stocked lineups are, the most under-appreciated element of the strategy is player interchangeability on defense. Villanova’s small lineups work because its wing players can effectively guard multiple positions and Jay Wright’s emphasis on help defense shores up any size deficiencies. Marquette‘s small ball approach, on the other hand, has so far come up short. 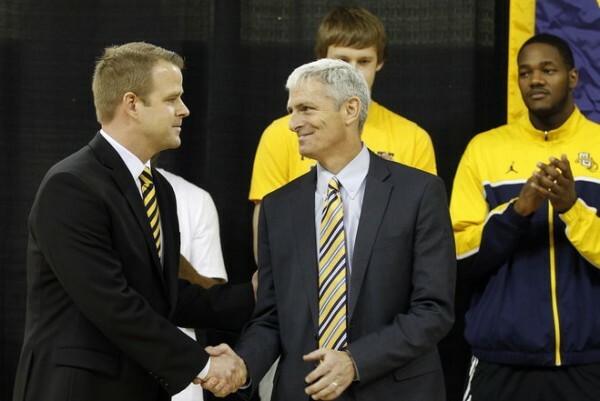 Before diving into the issues surrounding the Golden Eagles’ strategy, though, it’s important to illustrate why Steve Wojciechowski has resorted to it in the first place. On its face, his decision to add undersized shooters to his lineup appears to favor offense over defense. The maneuver has turned what was a decent offense into the program’s best since Tom Crean and Dwyane Wade were still on campus back in 2003. The ninth-most efficient offense in college basketball features the nation’s best three-point shooting arsenal at 42.4 percent, serving as a primary source of the offense and ostensibly justifying Wojciechowski’s decision to recruit for a motion-heavy, perimeter-based attack. The glaring trade-off on defense, while somewhat apparent at the time, was not expected to be this drastic. While Marquette’s offense has clearly surged, its mid-major defense (165th nationally) represents a problem of positional versatility. Most undersized teams have at least one or two guys who are capable of “sizing up” and defending bigger players on switches. Wings JaJuan Johnson and Haanif Cheatham both possess good athleticism, but neither has shown an ability to effectively front his man on the block and contest shots around the rim. Meanwhile, the pair of stretch fours that Wojciechowski employs, Sam Hauser and Katin Reinhardt, are offensive specialists who are not quick enough to defend the perimeter. Watch Hauser in the clip below as he is caught off balance and never regains his composure. The Big East microsite will be rolling out previews on all 10 teams this week, sorted into three tiers. Today we review the projected bottom tier of teams — DePaul, Providence, St. John’s and Marquette. Roster turnover begets roster turnover in Chicago, where the Blue Demons have continually struggled to build upon any success. Now entering his senior year, Billy Garrett Jr.‘s potential never truly materialized so many have turned their attention to sophomore Eli Cain — a long, 6’6 slasher who relentlessly attacks the rim while also connecting on a healthy 42.5 percent of his three-point shots. But while backcourt mates Garrett and Cain should keep DePaul’s offense moving forward, the starting frontcourt has completely dissolved. The first attempt at a solution will be Levi Cook, a 6’10″ transfer who originally committed to West Virginia before a knee injury hampered his recruiting process. The second attempt will be forward Tre’Darius McCallum, a JuCo transfer with two years of eligibility remaining. But until either newcomer demonstrates an ability to compete at a high-major level of basketball, the offense will remain predominantly backcourt-oriented. 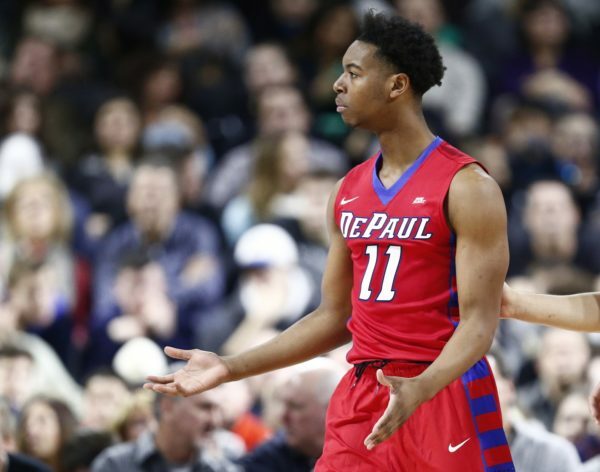 This might suffice if Cain can improve in finishing around the rim and fourth-year transfer Chris Harrison-Docks supplies a scoring punch off the bench, but winning teams are generally built on two-way players and DePaul hasn’t ranked among the top half nationally in defensive efficiency in six years. Strong defensive units require roster continuity and Dave Leitao clearly needs more time. Marquette may have already matched last season’s win total, but conference success has been hard to come by. A once-dominant, perennial contender in the Big East has fallen by the wayside following the departure of Buzz Williams. And while expectations have been tempered for first-time head coach Steve Wojciechowski, the frustration is already evident. 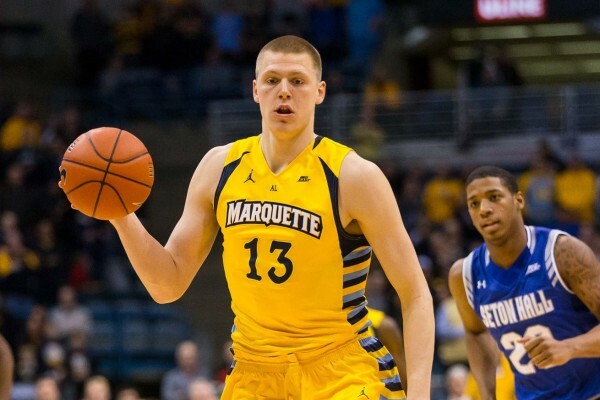 On its face, the Golden Eagles’ frontcourt pairing of Indiana transfer Luke Fischer – an experienced junior with a plethora of post moves – and highly touted freshman Henry Ellenson forms the core of the best offensive frontcourt in the conference. Unsurprisingly, the team is sporting both its best two-point field goal percentage offense and defense of the last 15 years. Marquette has thrived when working through the post, a reality made even more evident when the Golden Eagles shot 54.8 percent inside the arc against Villanova, a team that usually holds opponents to 41.9 percent two-point shooting (16th nationally). Yet for a team that plays so well in the paint (Fischer and Ellenson shoot a combined 70% at the rim), the team’s offense has been undermined by an odd plan of attack. Entry passes or pick-and-roll plays that have commonly resulted in easy Golden Eagles points are scarcely used; instead, Wojciechowski’s team is playing at an unsustainably quick pace, averaging just 15.7 seconds per possession on offense. The team’s average offensive possession length has decreased from 18.6 seconds (198th nationally) to 15.7 (34th nationally) over the course of one season. This figure is undoubtedly distorted by a high turnover rate and low rebounding rate, but those two issues also plagued last year’s team, and to a similar extent. 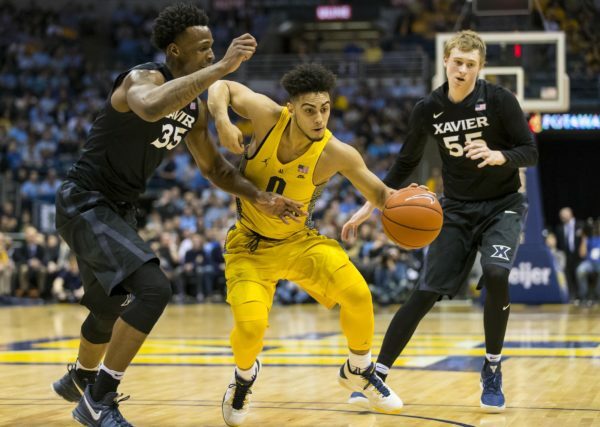 Perhaps as a result of the relative inexperience of its backcourt players, the quickened pace has Marquette turning the ball over on 20.5 percent of all its possessions, which puts them 296th nationally in the category. College basketball is just around the corner. Finally. It seems like ages ago since we last discussed Big East basketball. Maybe that’s because the league had no deep NCAA Tournament runs outside of a Sweet Sixteen appearance from Xavier; or perhaps the droll of mid-summer baseball wasn’t enough to hold us over. Not to worry though, the hibernation period is over. For those who have distanced themselves from offseason news about the Big East for the last six months, here’s your handy primer. There are several key storylines worth monitoring as we approach the start of the regular season. The Return of the… Freshmen? 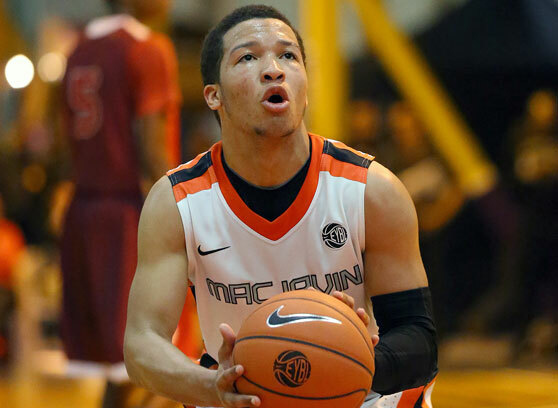 The Big East Weekend Wrap covers news and notes from the previous weekend’s games. Seton Hall has been nothing short of impressive. Not only did the Pirates win two conference games without Isaiah Whitehead, but they did so against what was believed to be the league’s top two teams. After trouncing St. John’s behind 10-of-23 shooting from three, Kevin Willard’s group took it to Villanova, jumping out to an early 17-3 lead before relinquishing it all and then ultimately winning in overtime. It goes without saying that junior guard Sterling Gibbs, who led the team with a combined 45 points, has made his way into all-Big East first team discussions. Stripped of his backcourt mate and second leading scorer, Gibbs took the scoring and passing duties into his own hands, easily creating his own shot off the dribble and putting teammates in scoring situations. Alongside Gibbs, three freshmen — Khadeen Carrington, Desi Rodriguz and Angel Delgado – stepped up at different times to propel the Pirates. The Big East Weekend Wrap will cover news and notes from the weekend’s games. Another week of games, another week of wins for the Big East. As we move into the last few weeks of the non-conference schedule, these games gain additional significance; they represent a team’s last few chances to stockpile resume-enhancing wins before the conference gauntlet begins. A number of Big East teams were able to do just that last week. Below is a list of four key takeaways from the past week of action. 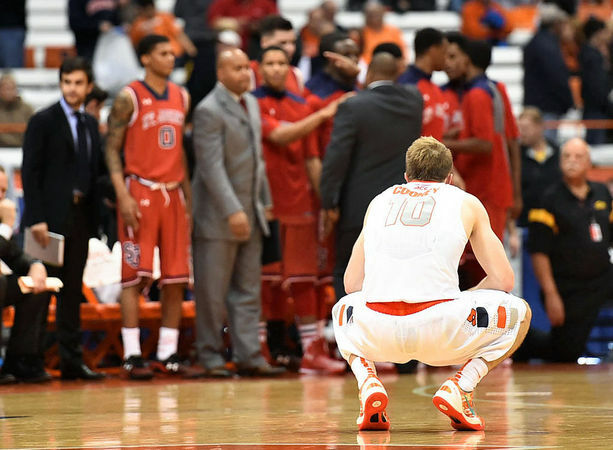 St. John’s steals a win at the Carrier Dome. Syracuse rarely goes down easy at the Carrier Dome, but the Orange’s streak of 55 consecutive non-conference home game victories came to an end on Saturday as D’Angelo Harrison and Phil Greene IV taught the Orange a few things about three-point shooting. In the past, the Johnnies had seemingly always managed to lose these key games down the stretch by way of turnovers or poor shot selection. But this time, the more experienced group played under control and found ways to score over the 2-3 zone inside. While Harrison paced the team throughout the game, hitting timely threes or mid-range shots, it was Greene who helped to close it out, scoring 11 points in the final 4:08 of action. Forwards Chris Obekpa and Sir’Dominic Pointer were largely neutralized on the offensive end, but Harrison and Greene converted with stunning efficiency, combining for a white-hot 8-of-14 shooting night from beyond the arc. After failing to capitalize on their chance to take down Gonzaga, St. John’s made the most of its chance this time around. The historically volatile group of unbelievably athletic guards and forwards seems to be calming down and coming together this season, at long last. Rush the Court: Villanova enters the season as the pretty clear favorite to win the league. The Wildcats return four starters from a team that went 29-5 last season. 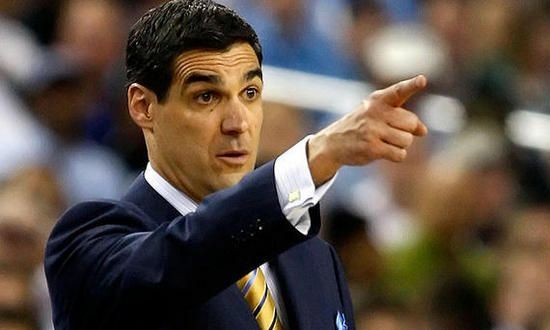 What are some reasonable expectations for Jay Wright’s squad this season? Jon Rothstein: I think reasonable expectations are to win the Big East title, have a chance at winning the Big East Tournament title, and get another high seed in the NCAA Tournament. Villanova was terrific last year in close game situations. I think there is a real possibility that Villanova could be a better team this year than it was last year, but have a worse record because its non-conference schedule is that much more difficult. What makes Villanova so good this year is that it does not lose 50/50 balls. Every ball that is being contested seems to go Villanova’s way almost every time. A big reason for that is Josh Hart. Hart is a guy who can go on a tear for Villanova this year, as he will step into a more enhanced role with the departure of James Bell. I think right now if there is one person who epitomizes Villanova’s culture and brand, it is Josh Hart. RTC: Georgetown had a below average season last year [just 18-15 overall and 8-10 in conference]. There are no two ways around that. Does John Thompson III’s team have enough firepower to ensure a more successful campaign this season?